You asked us, how does night vision technology work? Our eyes allow us to see a wide range of lights. When the sun goes down, our ability to make out stuff drops off quickly - colors fade, things get fuzzy, till our eyes become useless and we're what goes bump in the night. There are two very cool types. The first is thermal imaging. It registers on the upper portion of the infrared light spectrum. Invisible to humans, this kind of light is emitted as heat by things like warm bodies, recently driven cars and even some chemicals. Thermal imaging devices can see through the fog, smoke and dust. Type number two amplifies available light from the visible spectrum as well as some infrared light, making things look brighter than they appear to the naked eye. Most night vision equipment uses this imaging enhancement technology, though it's useless if it's pitch black. Originally developed to spot enemy targets, night vision is now used for all kinds of things - from military to baby monitors. Because you know, you've got to get the upper hand on these babies. Because babies should deserve safety because babies need to grown up and live life to the fullest. And if you want to protect your baby from robbers, animals, or dangerous things then use military technology if you really love your baby. Babies can only sleep in dark environments. But, parents still need to check up on them. With baby monitors, parents can see their babies through night vision sensors. This way, parents can do things like cook, clean, and work in a different room than their resting baby and still be able to see if their baby is sleeping or awake. 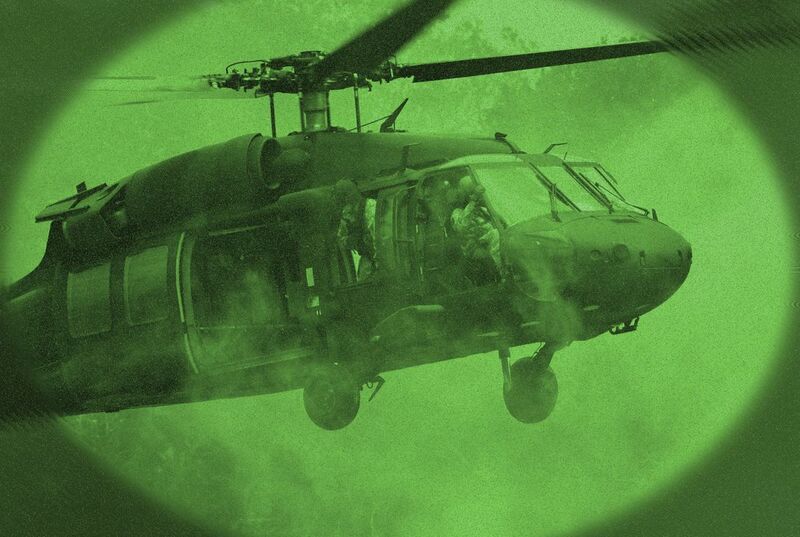 Military technology makes it easy for the military to see better in the dark. 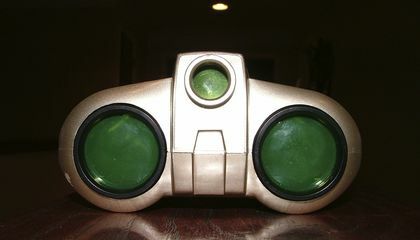 This could be used for baby monitors for the parents to see there child in the pitch black of night. I did enjoy this article because I have a little brother and we use baby monitors for him and it was interesting to how they really work. Because at night you can't see so it needs night vision. I have always been fascinated about thermal technology and how it only tracks heat. How long did it take to make this kind of stuff i'm going to google that. When i was a kid i had fake night vision goggles and me and my friend would take them out at night and mess around in the fields acting like we were in war. It's cool to learn the science of night vision. I've been wondering how that stuff worked for a while. But I wonder why people don't use thermal more, since it seems to work better. Baby monitors use military technology so the parents could see the baby and the creepy dude hiding in the closet. It could also be used as a security camera to keep the parent and child safe. I found it interesting that certain night vision goggles can see certain gases. I found it surprising that they use night vision in baby monitors. This article seems interesting because, I never knew how night vision worked, and it worked by amplifying light. I thought night vision was just a light in the binoculars. The thing that shocked me, is that there are 2 different night vision: thermal and amplifying light. I thought it was just an ultraviolet light, shining! Baby monitors use military technology because all babies sleep in the dark. So they use military technology so that the parents can watch over them. Also this makes the parents see them way better then in the dark. Baby monitors use military technology because since there babies produce heat they can check up on there baby while the baby is sleeping or awake and be able to help the baby while the parent is in another room. I really enjoyed this article because I find it very interesting that they can use in babies. This article did surprise me because they can use MILITARY technology and it is very expensive.